“60% of people say they discover new products on Instagram1”. It is, without doubt, a prime platform for establishing and voicing your brand online. By sharing enticing images and videos, you can appeal and engage with users you want to target. With over 700 million monthly users, Instagram is a worthwhile marketing tool for any company. Last year, the forum launched its enhanced business features, offering greater advertising opportunities and accurate reporting data. However, as with every social media channel, generating content to keep your audience interested and enables organic growth involves a specific etiquette. We’ve reviewed some dos and don’ts to help maximise your Instagram for business account. It’s important to generate conversation and engage with your audience. Replying to comments, asking questions and encouraging shares of your content are all ways of stimulating interactions with your followers. It’s a good idea to get involved in industry chat by monitoring relevant hashtags and joining topical conversations that relate to your brand. You might even discover users who are already actively promoting your brand! Tip: Get feedback from your audience by asking for advice on future projects e.g. what topic they would like you to cover in your next eBook? This tends to take time, but once you have established your signature feel, make sure it’s visible throughout your Instagram profile. Adopt the use of specific colours and filters that represent your branding and use these consistently in your posts. Distinguish exactly how you want your page to appear visually and use consistent colours to represent this. You want your Instagram photos and colouring to mirror your brands overall tone. Not only is your bio the first thing people see, it’s also the only spot for links in your Instagram account. Are you taking advantage of it? Use this space to encourage your visitors to take further action and send them somewhere valuable. Maybe you want to promote a new service offering, a product launch, or a new blog post– send them directly there. When sharing content on your feed, use a call to action (CTA) to make followers aware of what you’re promoting in your bio. Making the most of your Instagram bio is a great way to drive traffic to your website. The most successful Instagram accounts have a general posting schedule. Some may decide on posting twice a day, while others just once a week. 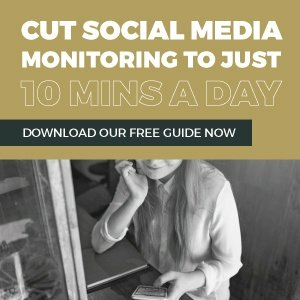 Determine what works for you and your followers and create a unique posting plan based on this. Your audience will learn when they can expect to see new content from you. Post consistently to boost growth and remain fresh in your follower’s mind. With multiple ad formats available, brands can use photos, videos, carousel and stories to gain attraction online. Instagram’s paid feature launched in 2015, with the most recent story ad format introduced in March of this year. Instagram is very much a platform where people share and search for what interests them, from fashion to music, travel and food. Advertisers can capitalise on this lucrative marketing tool to target people based on what they’re passionate about and not just demographic factors. Krisers Pets' ad below works really well and gets right to the point- it’s a grooming service marketing itself to you by showing a picture of a groomed puppy. The ad uses a cute photo of a dog that will stop prospects in their tracks, and the "call now" CTA makes it easy to take action. Like all social channels, never post content on Instagram without a purpose. Be strategic and try to remain within your social plan where possible. You don’t want your feed filled with irrelevant images and videos, instead only share what your followers will appreciate. Context is vital, so make sure all your content relates to your brands purpose. If you’re struggling with content, it might be best to adjust your posting cadence to a more realistic rhythm that suits your company. Like every aspect of marketing, you must measure your Instagram performance. When creating your plan, the first step is setting clear goals you want to achieve and then distinguish the metrics that enable you to track performance. While you’re probably aware you need to measure your progress, it can be tricky to know what areas you should track. For instance, if increasing following and brand awareness is your aim, it would be worthwhile to measure daily followers, shares and mentions. If your goal is to improve interactions, tracking likes and comments would be more applicable metrics. You’ve probably already established your brand voice, now you must ensure that same tone is visible on your Instagram. Social media tends to be a more personal method of communicating with your audience, in comparison to other marketing methods. Instagram is the perfect way to express your business visually, and provide your followers with a deeper insight to your company personality. Pay attention to what your audience like and give them more engaging content around this! While comments on Instagram won’t directly affect your ranking, Google uses these interactions as a gauge of engagement as to what users like. Google always want to provide searchers with the best content that generates the greatest number of views, likes and comments. Which is why it’s vital to reply when fans interact with your content. If you don’t reply to comments, followers will view this as ignoring them, leading them to take their interest elsewhere. To make sure your followers see your reply, “@” their handle. This will notify them and bring them back to your page where you can continue to develop your social connection with them. While creating and using suitable hashtags is an important part of increasing brand awareness on Instagram, be careful not to misuse them. The use of hashtags is tricky area for marketers to approach, with confusion around the magic number of tags to include in a post. Instagram allows up to 30 hashtags, although we don’t recommend using that many. Only use hashtags that are applicable to your post, and not to falsely attract users or manipulate the algorithm. It looks spammy if nothing else! When used correctly, Instagram can work wonders for your marketing strategy. That being said, many people struggle to maximise their business presence and benefit from the popular platform. Bear these do’s and don’ts in mind when setting up your Instagram business profile and creating your posting schedule; we’re confident you’ll reap the benefits!